The Hemlock Public School District continues to find ways to grow and improve in service to students as we focus on fulfilling our mission and vision. Educational Booster and #1 Huskie Supporter Char O’Connor is consistently working to help make improvements that will benefit students. 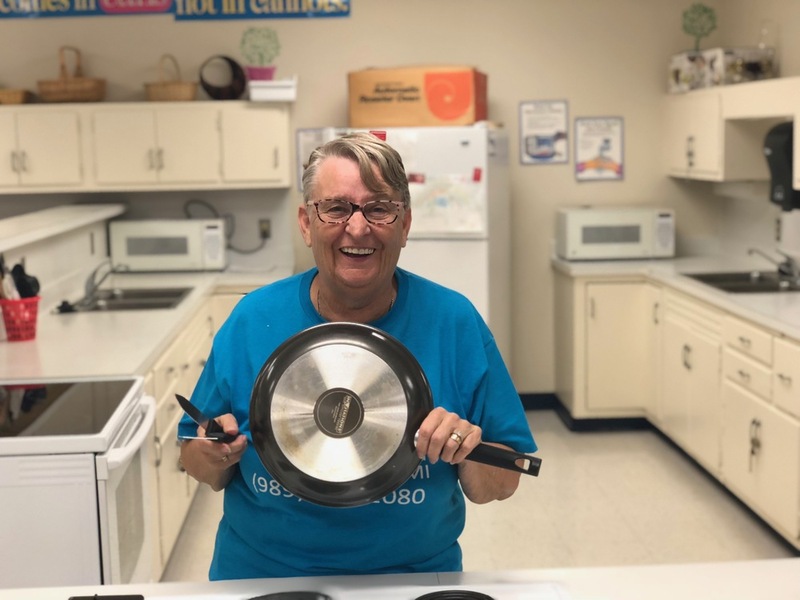 This past spring, Char collaborated with support staff member Annette Guettler and teacher LeAnn Gerard and raised nearly $4,000 worth of equipment for Hemlock High School’s Culinary Arts program. During these efforts she discovered that there were still unmet needs within the program and is working toward making capital improvements. The program, which received some new equipment through a Maytag grant in 2013 and now this generous donation, still has some updating that needs to be done. The potential scope and cost of a culinary program update is under review and being prioritized with a number of other district initiatives such as: STEM building, fitness area, lighting at the soccer field, and more. If you would like more information about this or other positive happenings that you could get involved in at Hemlock Public School District, please visit us on the web at hemlockps.com or call (989) 642-5282.